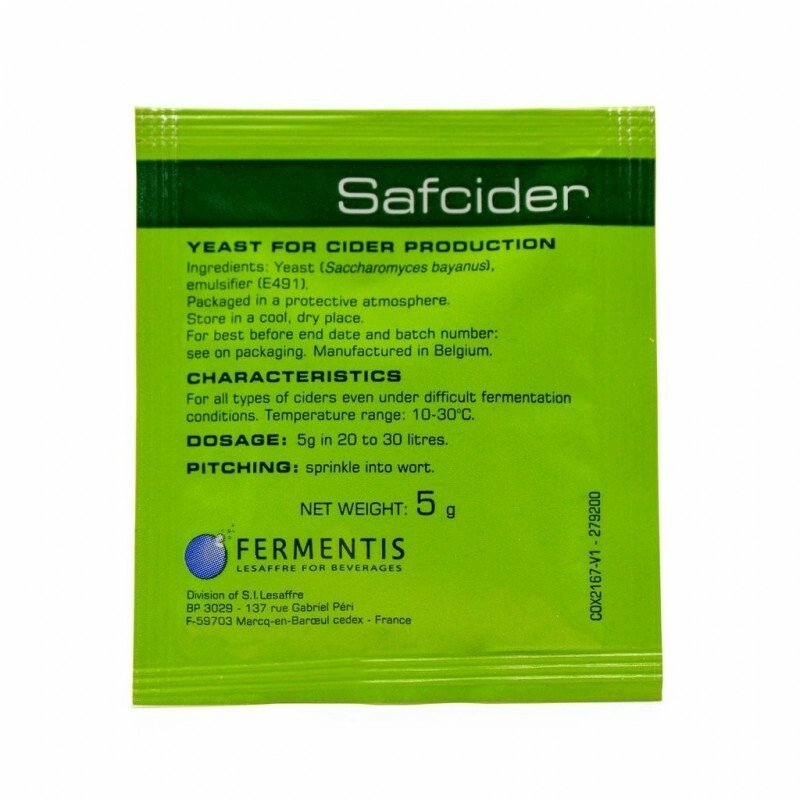 Fermentis Safcider, selected from the Champagne region, can be used for all types of ciders, even under difficult fermentation conditions. 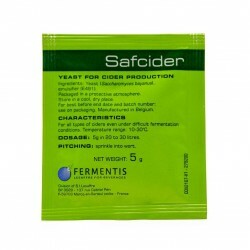 This cider yeast works at a wide temperature range between 10-30°C (50-86°F) with ideal temperatures between 18-24°C (64-75°F). Works at low pH from 3.3. Low nitrogen requirements: from 150ppm of Yeast Available Nitrogen. Maximum SO2 level : 70mg/L. Very good assimilation of fructose. Highly flocculant.